Amici Pet Hospital offers state-of-the-art digital X-Ray technology. 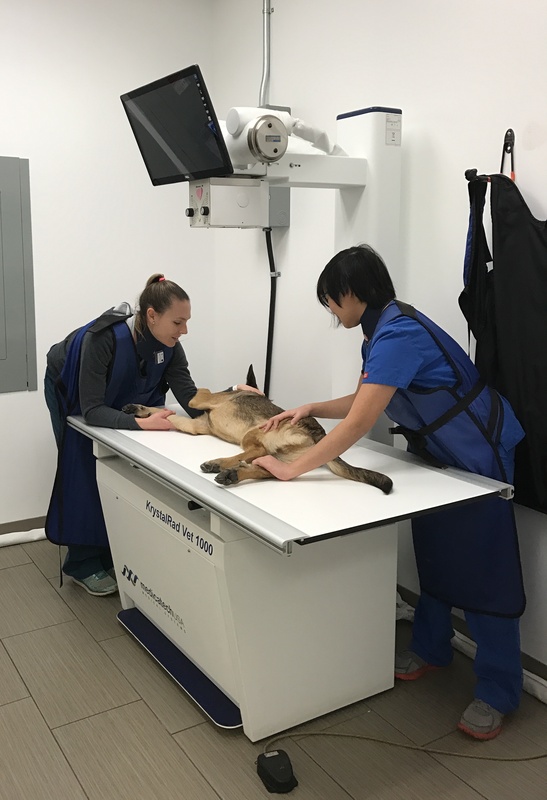 X-Rays provide our doctors with the ability to visualize internal structures and body systems in order to gain more information about your pet’s health. Many of the body systems that can be further evaluated include the gastrointestinal, urinary, reproductive, cardiovascular, pulmonary, and musculoskeletal systems. Digital X-Ray images allow for us to zoom in on structures, measure the size of organs, and enhance overall technique to increase our diagnostic yield. Digital X-Rays will be immediately saved in your pet’s medical record here at Amici, but they can also be taken home with you on a CD or E-mailed to referral specialty hospitals in an emergency.